The National Association of Specialty Pharmacy� (NASP�), founded in 2012, represents specialty pharmacy professionals in all practice settings and highlights the unique value our members bring to patients and the healthcare system. NASP is focused on building collaboration among all organizations involved in specialty pharmacy to deliver the benefits and services needed to improve patient outcomes. NASP has a strong vision, innovative and motivated leaders, and an inspired mission-exactly what the specialty pharmacy industry needs. 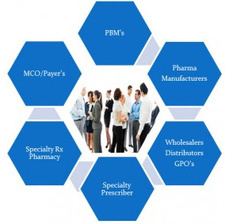 Specialty pharmacy is the fastest growing segment in the industry today. Innovations in drug discovery, drug delivery systems, advanced monitoring techniques, and informatics have all increased the need for advanced specialty pharmacy. NASP provides the platform for clinical, scientific, and business exchange for all specialty pharmaceutical stakeholders and fosters collaborative initiatives to align the goals of all stakeholders. As an organization, we are committed to advancing the profession by supporting the importance of professional certification through the Specialty Pharmacy Certification Board (SPCB). NASP meets the needs of a growing membership by creating a strong, unified voice for the industry. Members receive unmatched educational and networking opportunities through the Specialty Pharmacy Conference and Specialty Pharmacy Education Center (SPEC), which offers more than 300 hours of education specific to specialty pharmacy. Learn more about the benefits for individual and corporate members. To learn more about the benefits for individual and corporate members, log onto our website at www.nasprx.org. Asembia's annual Specialty Pharmacy Summit will return to Wynn & Encore Las Vegas from April 29 through May 2, 2019. The Summit attracts thousands of industry executives and professionals to participate in business workshops, educational seminars, exhibits, and live continuing education credits, along with numerous networking and social events. Attendees will gain an in-depth understanding of all aspects of specialty pharmacy from renowned industry speakers who share insight about the most current information on the many facets of the nearly $150 billion specialty pharmacy channel. From pharmacy owners and C-Suite executives to purchasing agents and national account managers, Summit attendees represent a diverse blend of the industry�s most influential thought leaders and key decision makers. The broad variety of timely business and educational sessions, wide range of expert speakers, and extensive networking opportunities make the Asembia annual conference an essential event for all health care professionals. The 2019 conference will welcome over 6,500 attendees, representing more than 1,200 organizations. The four-day agenda includes expert panel discussions and interactive business and educational seminars on the latest industry topics, as well as vendor exhibits and networking events. 2019 highlights include Keynote Speaker, Maria Shriver, advocate and founder of the women�s Alzheimer�s movement; as well as a featured business session on Specialty Pharmacy Industry Outlook with Adam Fein, Doug Long and Lisa Gill. Asembia's Specialty Pharmacy Summit offers organizations operating within the specialty pharmacy segment the opportunity to showcase their products and services through an interactive exhibit hall experience. Exhibitors will have the opportunity to meet and connect with highly engaged attendees from throughout the specialty pharmacy industry. 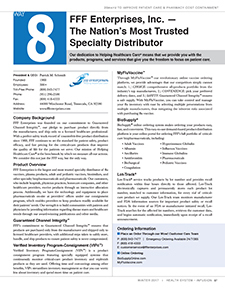 In addition to hosting the Summit, as the leading services provider to the specialty pharmacy industry, Asembia collaborates with specialty pharmacies, manufacturers, prescribers, payers and other industry stakeholders to bring strategic channel management solutions, leading-edge products and high-touch services that help our customers optimize patient care and outcomes. Learn more at www.asembia.com. AdvanceNet Health Solutions continues to dominate the prescription dispensing marketplace with its full featured, enterprise, open source pharmacy management software, ePostRx�. All our open source ePostRx products and services are built from the ground up using the latest web enterprise technologies and open source projects. Because we employ a three-tier architecture model, our solutions can be configured and scaled to meet the enterprise needs of any client network. Utilizing an open architecture philosophy, the system will seamlessly integrate into your current IT landscape. Published web services and API�s are available through the View Supporting Materials Link below. ePostRx� also offers an integrated e-prescribed solution to our enterprise pharmacy management software, ePostRx�. Fully certified on SureScript 10.6, the electronic prescribing solution includes automated Prescriber Download functionality. The current solution automates the receipt of the electronic prescription in the workflow manager, incorporating matching logic for the patient, to streamline dispensing, with minimal user interaction. Our dedication to Helping Healthcare Care? 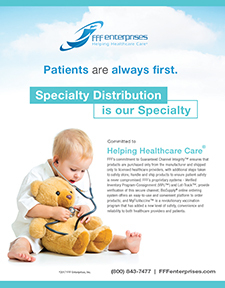 means that we provide you with the products, programs, and services that give you the freedom to focus on patient care.